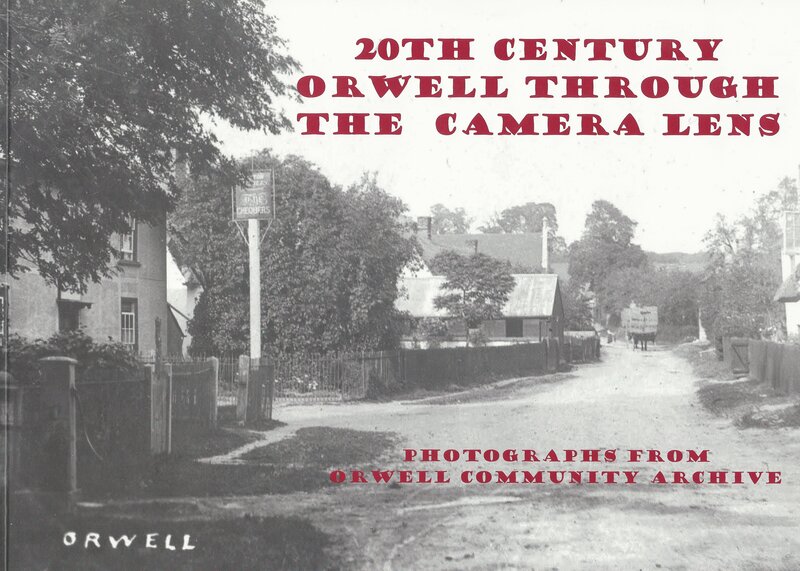 All Orwell residents, past and current, are urged to contribute their memories and photos of Orwell life in any period, right up to the present day. Please help us to make this site a success with your contributions and comments. But in addition to your memories and photos we also need funds to keep the website running and to pay for speakers at our meetings. Hence you have the opportunity to support us, whether by becoming a paid-up member of Orwell Local History Society, by making a donation (always welcome!) or through the purchase of items of which, from time to time, we will inform you. Of course, we also acknowledge the financial assistance given to us by the Heritage Lottery Fund, but that was essentially to cover the initial set up of the website including the purchase of the software and training. Brand new pack of Notelets now available for purchase! 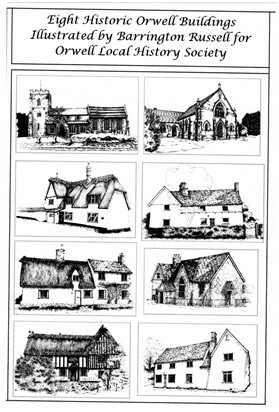 Pack contains either a complete set of eight different line drawings of classic Orwell buildings (prepared earlier in 2013 for Orwell Past & Present by Barrington Russell), or your selection from the eight cards in any mix. 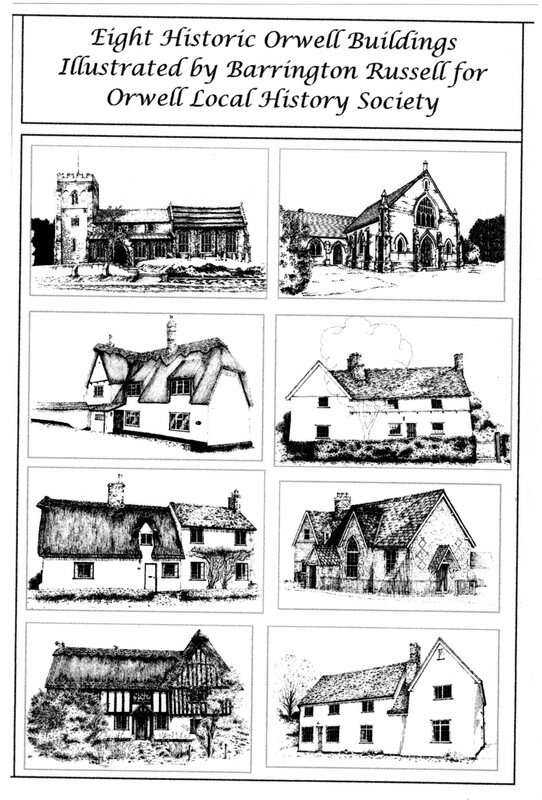 Price, as for the other pack detailed below, is £3.00 per pack of eight, including envelopes, (plus postage if required outside of the village). These Notelets can be obtained by contacting us on info@orwellshistory.org.uk. We still have available the earlier packs of Notelets, which have four views of Old Orwell, in a pack of eight, including envelopes. These Notelets can be obtained by contacting us on info@orwellshistory.org.uk , at a price of £3.00 per pack, plus postage (if required outside of the village). In January 2010 Orwell Community Archive Group published a selection of photographs from the Archive under the above title. 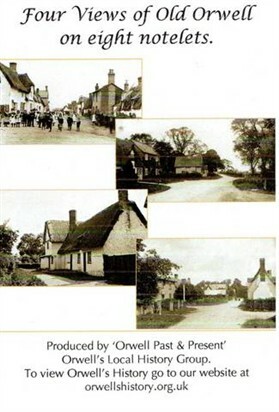 This can still be purchased from Orwell Past & Present by contacting us through info@orwellshistory.org.uk, at a price of £5.00 plus postage (if required outside of the village). It is planned to prepare Christmas cards for sale closer to the appropriate season. Watch this space for further information on this and other merchandising. This page was added by Martin Grigor on 17/01/2013.